Cat lovers and children rejoice! One of the world’s best loved and well known cats, Hello Kitty, is taking to the skies in yet more of EVA Air’s planes. 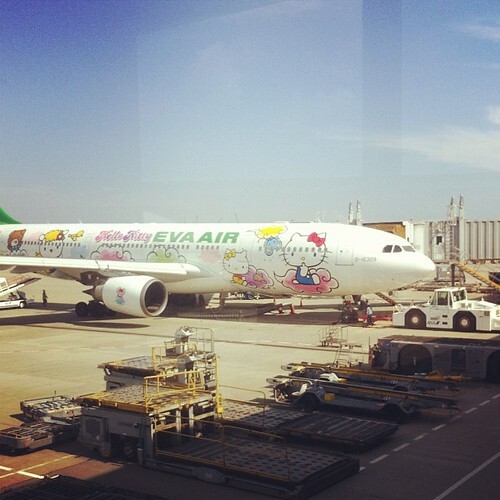 Taiwan’s EVA Air already flies five Hello Kitty-themed planes to Japan, Hong Kong, South Korea, China and Guam. And from 18th September the cartoon cat will be making its debut in the skies of Los Angeles on its three times weekly flight to Taipei. Everything on the plane will be emblazoned with the Hello Kitty branding, from boarding passes, to headrests, to utensils and even the soap in the bathroom. The flight attendants will wear the cartoon cat on their aprons and also sell Hello Kitty souvenirs. If you’re feeling left out here in Europe, then the airline has plans to bring the planes here too.